Every gadget or technology fan needs a good bag to carry his/her gear with them. A good bag needs to be sleek, thin, come with the best possible protection, and have plenty of pockets, all in the right places. A lot of variations on this exist, and to be fair it isn’t very easy to make a bag that stands out among others. For the last few weeks, we have been running around town with the Solo Eclipse Backpack, carrying things like our laptop, iPad, and items like keys, documents, battery packs, headphones and of course, mobile phone. Two front pockets with key clip. 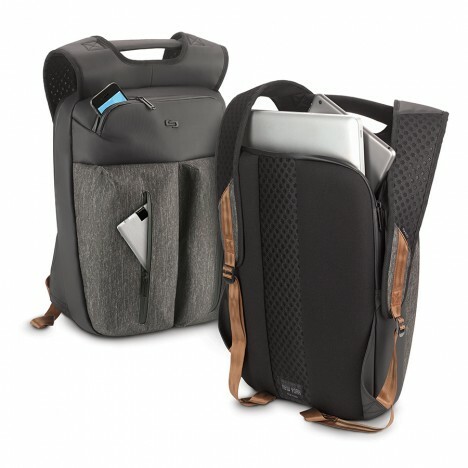 One of the most interesting features on offer with this is the fact that the back pocket, which holds the laptop as well as the tablet is actually behind the back straps. This means that you need to have the bag off your shoulders for that pocket to be accessible. This makes it extra secure, specially in places like Paris where this is a common way for thieves to be off with your goods. The front pocket is quite interesting too. It looks like it is a small pocket, but it is actually as deep as the bag, handy to store documents and such like. The two front pockets make handy areas to store things you will need to access at all times, such as Passports, travel documents, music players, battery packs or your phone. The golden lining on the back straps does give this a unique look, while the padded back gives your airflow, protecting your back from sweating while you’re on the move. 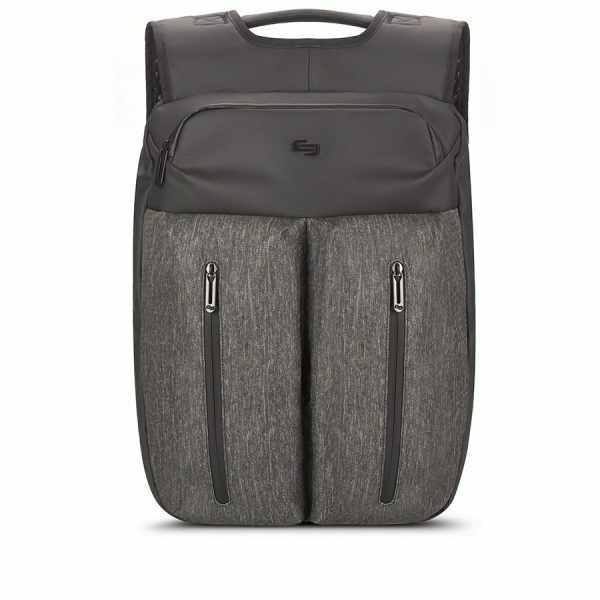 Generally, the look and feel is premium, making this the ideal backpack for anyone from a digital nomad to a businessman. More information on the Eclipse backpack can be found on the Solo website.